Drew is an experienced tax and accounting professional in DMJ’s Sanford, North Carolina office where he handles tax planning and compliance for corporations, partnerships, and individuals, especially closely-held businesses within the auto dealership, specialty finance, manufacturing, real estate, and agribusiness industries. Drew also has significant experience in multi-state tax returns and addressing business advisory needs. 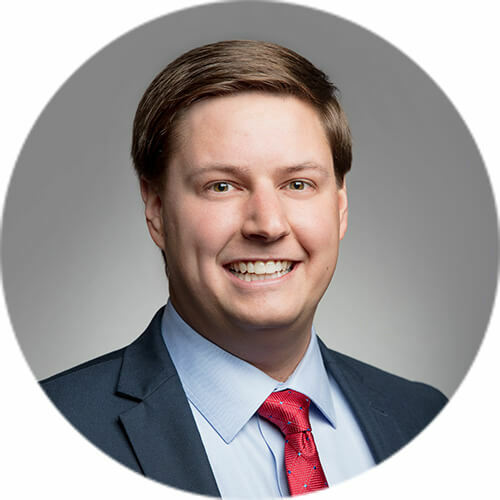 Prior to joining DMJ in October 2017, Drew worked for a large regional accounting firm in Raleigh, NC as a tax manager. Drew, his wife, and newborn son reside in Apex, NC. When Drew is not serving clients and crunching numbers, he enjoys playing golf, attending sporting events (Go Pirates, Wolfpack, and Panthers! ), and traveling with his family. He is an active member of The Summit Church in Apex, NC. The 2018 filing season has come to a close, and there were many changes that affected the 2018 tax liability of every taxpayer. The reason is the largest tax overhaul seen since 1986, the Tax Cuts and Jobs Act of 2017. On April 17, 2019, the IRS released additional guidance (Reg-120186-18) related to gains that may be deferred as a result of a taxpayer’s investment in a qualified opportunity fund (“QOF”), as well as special rules for an investment in a QOF held by a taxpayer for at least 10 years. The guidance also provides updates to previously issued proposed regulations. The IRS has issued proposed regulations and a related revenue ruling regarding the designation of certain low-income community population census tracts as Qualified Opportunity Zones (“QO Zones”), eligible for favorable tax treatment as created by the Tax Cuts and Jobs Act (“TCJA”).